I went to my first clinic with Adam in April 2017. This was prompted by hearing him interviewed on radio about his developing a technique for endurance swimming having had shoulder surgery. 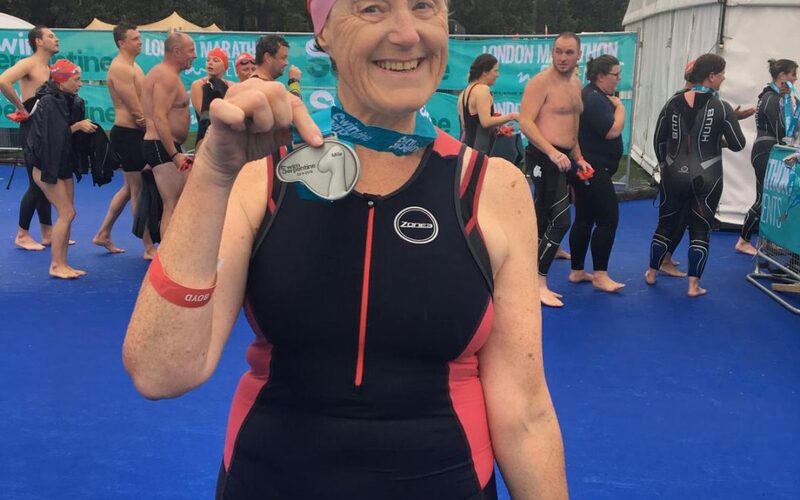 I had begun open water swimming with a Triathlon club in 2015 but was struggling to do more than 500m because of chronic shoulder bursitis. I learned the basics of the stroke but found it difficult to practice within my club sessions as the drills and the stroke were so different. As a result I found myself swimming a combination of what I was doing before and some of the Walker technique. I planned to attend another clinic in April 2018 but had to cancel, so booked onto the Southampton clinic in October 2018. By then I had a lot more experience of open water swimming on my own. However I was still having flare ups of pain in my shoulder whenever I trained hard with my club. At the clinic I realised that I was not swimming what I believed was the correct technique and would have to go back to basics. Having Adam and Gemma in the water with me and actually positioning me correctly was a huge help. The discussion afterwards while reviewing the morning's filming was essential to my understanding of where I was going wrong. In the weeks that followed I practiced the drills in the slow lane and finally started to feel the timing and stages of the stroke coming together. In another week or so I'll get some video done for feedback from Adam or Gemma. Learning anything new takes time. Learning the Ocean Walker technique requires unlearning previous swimming experience before the new stroke can be embedded. It isnt enough to go to one clinic and go away and practice. Constant review and reinforcing by correct teaching - either by follow up clinics, 1:1, webinar or personal Skype sessions - is vital. My current swimming target is to compete at distances of 2-3k in 2019 without pain. In 2018 I managed a sea swim of 3k and several other competitive events from 750m to 2.5k without discomfort so I have no doubt that 2019 is going to be the year when I can say I am a fully fledged OW swimmer!